Kite-surfing in turquoise waters on a secluded beach and Peruvian-Japanese fine dining conspire to put this luxury resort at the top of the Turks and Caicos bucket list. The moment you enter Shore Club's gorgeous lobby, with its pillars and high ceilings, you know you're in for a vacation unlike any other. Yet, despite its obvious opulence, the resort manages to pervade a Tuscan simplicity with its pastel shutters and clean lines, making relaxation a permanent, unavoidable state of being. 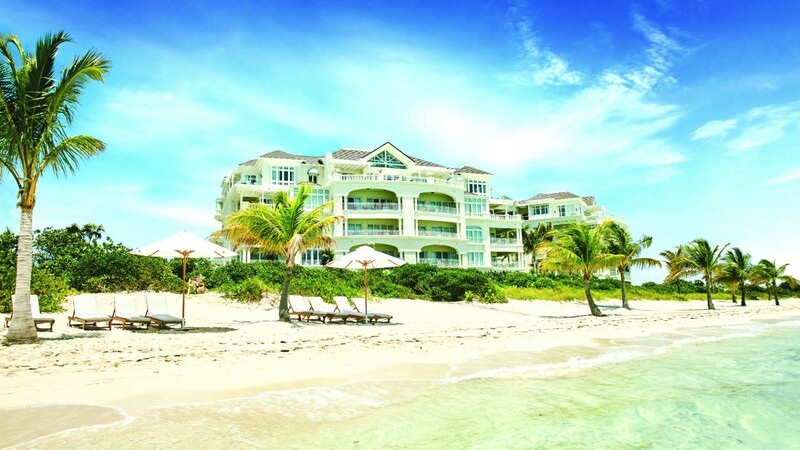 The Shore Club is located on Long Bay Beach, the opposite side of Providenciales to the busier strip of hotels on Grace Bay, meaning its beaches are unspoiled and less crowded. With its stunning pools, wealth of dining options and design details – like the eye-catching rope bar – and pristine lawns that guide you towards the white sand beach, a stay here is the very definition of 'treat yo self'. Given the high-end nature of the resort, it's no surprise that room options abound at the Shore Club. 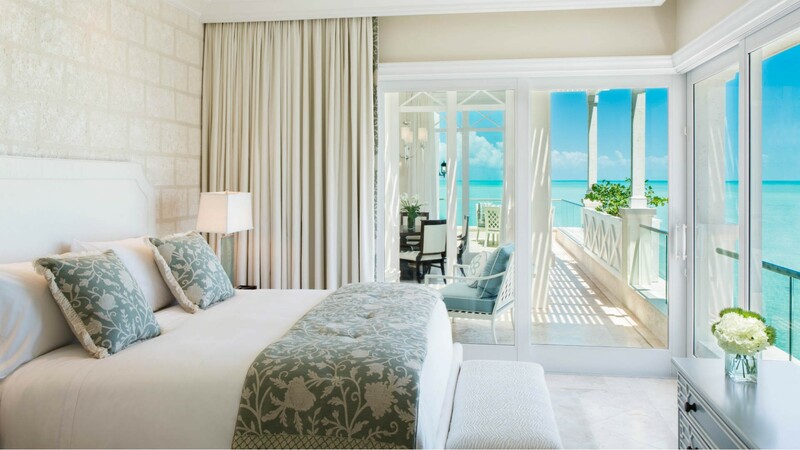 Guests can stay in a private villa or a three-bedroom executive penthouse with optional butler service – but truthfully, even the property's most budget suites will feel like the lap of luxury compared to other hotel rooms you've stayed at. Junior Suites (640 sq ft) include a deluxe bathroom stocked with products and accessories to make your stay comfortable. Fully furnished terraces will look out at the garden, the pool or the ocean dependent on your room type, and all come with a freestanding soaking tub and a separate shower, as well as a king-sized bed, flatscreen TV and Nespresso machine. The resort has four pools including an adults-only option on the edge of the beach where grown-ups can watch kite-surfers from the comfort of their loungers. The Colonnade Pool exudes some serious elegance with loungers set over the water's edge, cabanas surrounding the pool and swinging chairs that allow you to dip your toes while you get the perfect snap to make your friends back home green with envy. There's also a spa and tennis court, so you can get your sweat on one way or another. Shore Club’s shallow, waveless beach makes it the perfect spot for water sports – guests can help themselves to snorkels, sea kayaks and paddleboards. If you need something even more adrenaline-inducing, Long Bay is one of the best locations for kitesurfing on the island. Book a lesson with the friendly team at Turks and Caicos Kiteboarding, located on the beach directly in front of the hotel. 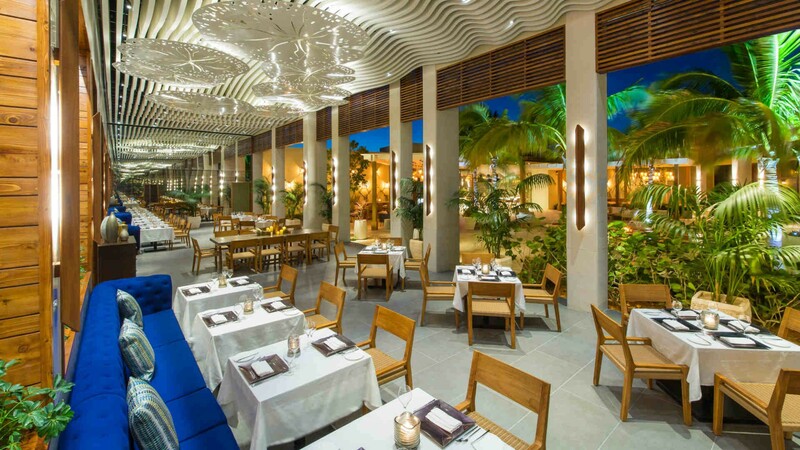 There are a number of restaurants at the resort, and guests can enjoy a complimentary breakfast buffet in the Courtyard – but the real showpiece is SUI-REN, a Peruvian-meets-Japanese style of cuisine that highlights fresh seafood from the island. Enjoy dishes like Tiradito, a Peruvian dish of raw fish, cut in the shape of sashimi. 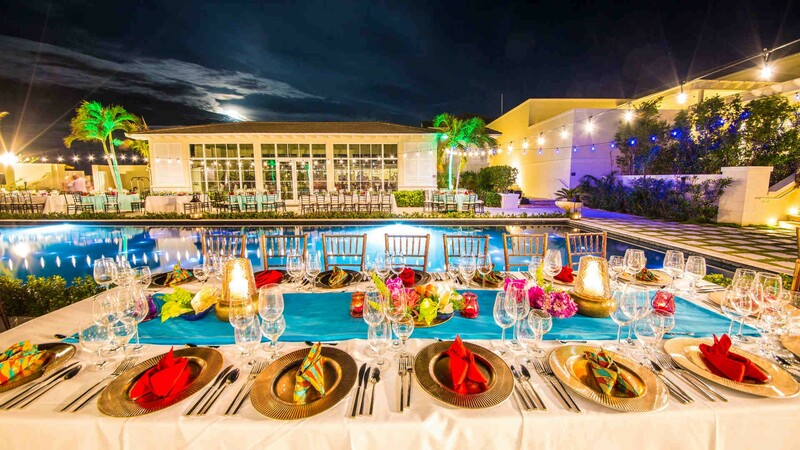 The hotel is heavily involved in the Caribbean Food and Wine Festival held on the island, so we recommend timing your stay to coincide with the foodie festivities. During our visit, we attended Shore Club’s Sunday Brunch event for the eighth annual festival, which featured a number of indulgent food stations (beef wellington, seafood and a dessert bar) accompanied by free-flowing fizz (Veuve Clicquot), while last year saw the hotel host a dinner under the stars with chef Meherwan Irani. 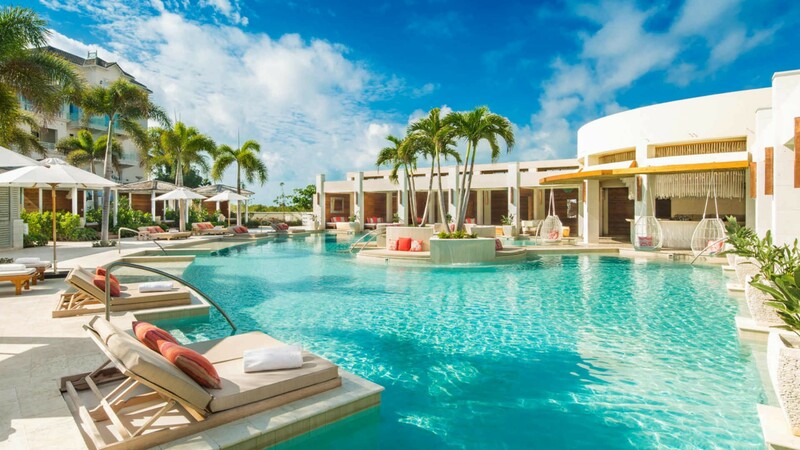 The Shore Club is located on Long Bay Beach just a 15-minute drive from Providenciales Airport, meaning that (with a little determination) it's possible to be poolside in your bikini within an hour of touching down on the tarmac. Unlike Grace Bay (only 2.5 miles away), which is pretty well lined with resorts of varying size and capacity, this stretch of coastline has yet to be overdeveloped – giving you an added sense of seclusion. Turks and Caicos' barrier reef is the third biggest in the world, shielding the beach from large waves and keeping things crystal-clear and perfect for snorkelling. Be sure to catch a glimpse of it from your plane window, where you can see the coral reefs as you enter (or woefully) exit paradise. Room rates start from $927 per night.